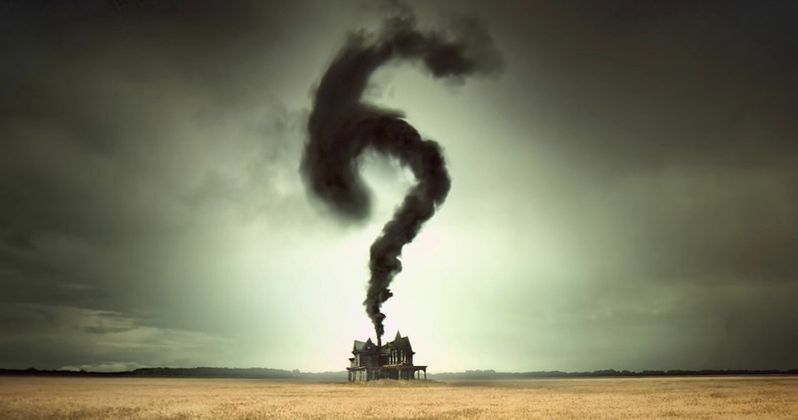 It seems that FX's American Horror Story may be taking a page out of the Game of Thrones playbook, by keeping the setting, theme and plot details under wraps. FX held its TCA summer tour presentation earlier today, where FX president John Landgraf spoke about the six mysterious trailers that were unveiled for Season 6 a few weeks ago. As it turns out, one of these video does reveal the actual theme, while the rest were just red herrings. Another report may have actually confirmed the setting though. When the six trailers debuted a few weeks ago, many noticed that some of these videos appeared to be homages to horror classics like Texas Chainsaw Massacre and The Hills Have Eyes. The poster that was released last week didn't offer any more hints, showcasing a woman who has spider-like creatures crawling out of her eyes. There was also a theory that surfaced online that one of the trailers was actually showcasing the real theme and setting for Season 6, which was actually confirmed at the TCA summer tour by FX president John Landgraf. Here's what he had to say below. "(The marketing team) went out and created many more trailers than you've actually seen for hypothetical seasons of American Horror Story, in different genres, different places. One of them is accurate, and the others are all misdirects. There is a theme and a setting and a place and time, but we're not going to reveal it because we think it will be fun for the audience to have the surprise this year." As for the theme itself, TMZ reported last week that this season may be centered on the Croatoan mystery from the 16th Century. The site posted photos from the set in Santa Clarita, California, which feature this mysterious word Croatoan carved into the bark of a tree, which falls in line with the legend. In the year 1590, 117 people mysteriously vanished from the Roanoke colony in North Carolina, with the only clue to their disappearance being the word "Croatoan," the name of a nearby Indian tribe, carved into a tree. John Landgraf previously teased that the show will be set in two different time periods, but largely in the present. The photos from the set revealed a colonial type of farm, with cast members spotted wearing "Pilgrim-era clothing." It's possible that this Croatoan mystery surfaces in modern day, but we don't know for sure. During the TCA panel session, creator Ryan Murphy teased there will be "elements of children" at play this season. "If you look at horror tropes, the innocence of children, that sort of wide-eyed entryway into some world, is always very dramatic and satisfying." As for the future of this series, nothing has been confirmed quite yet, but John Landgraf wouldn't address any plans for an endgame. The show hasn't been renewed for Season 7, but that may happen shortly after the Season 6 premiere. Here's what John Landgraf had to say about the show's possible finale. "All good things must come to an end, but, so far, as long as Ryan keeps coming up inventive and original and new ideas... [we] can keep going. By definition, it has a beginning, middle and end each season. It's only the limits of your stories and your imagination that ends the show. So only time will tell." The Season 6 premiere of American Horror Story has been set for Wednesday, September 14 at 10 PM ET/PT. The only cast member that has been confirmed thus far is Lady Gaga, but we'll have to wait and see if the show plans on confirming any further cast members before the show debuts. Stay tuned for more updates on Season 6 of American Horror Story.